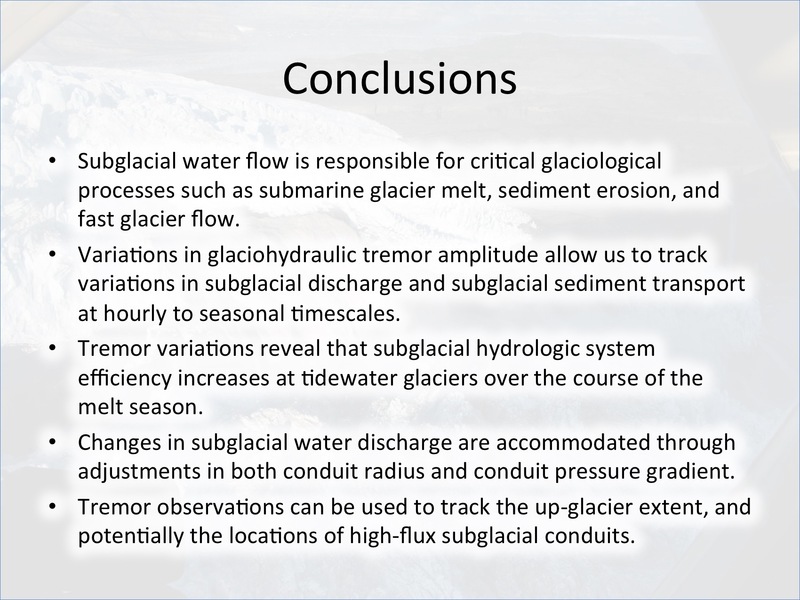 Last week, I visited the Boise State Geosciences department to give a seminar on the use of seismology to understand subglacial water flow and sediment transport. I reviewed two of my recent papers, published in GRL (this in 2015, and this in 2016), and also presented some of the initial results from my work with graduate student, Margot Vore, from Taku Glacier. I enjoyed getting to know some other Idaho geophysicists and identifying new opportunities for collaboration.